An anniversary is a landmark to a memory, to previous work gone by, and descent into the unknown abyss of what will come. The much applauded, and much deserving, Joe Goode picked four excerpts from his favorite pieces to capsulize 30 creative years—not an easy feat. 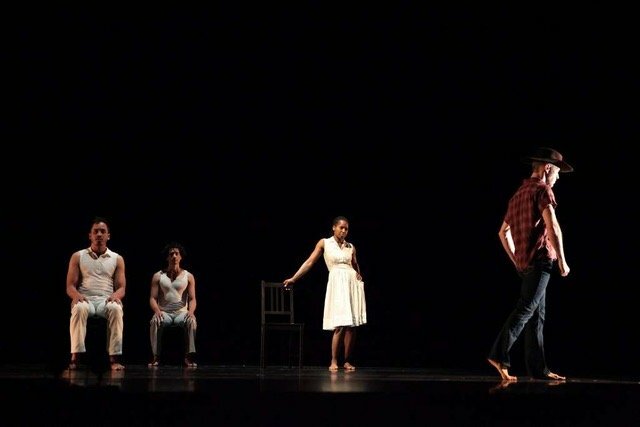 The pieces ranged from 1991-2011 and feature the solid dancing of longtime company members: Liz Burritt, Felipe Barrueto-Cabello, Marit Brook-Kothlow, Melecio Estrella, Molly Katzman, Andrew Ward, Patricia West, and more recently, James Graham.